Jarvis Weasand Clips – for sealing the esophagus of slaughtered stock. • Weasand clips are designed for sealing the esophagus of slaughtered beef and sheep. 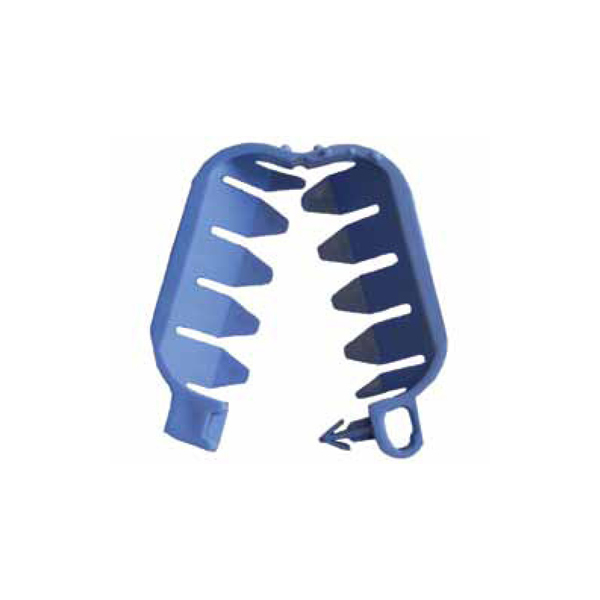 • Made of plastic in the U.S.A.
• Designed to keep the esophagus sealed tightly during processing procedures. • Shipped in boxes of 2000 clips (Beef), or boxes of 6000 clips (sheep) for optimum hygiene and convenience. • Beef clips easily dispensed by using Jarvis’ models DBC-2 and DBC-3 Beef Clip Dispensers.